It's just a week until the start of the 85th session of the Texas Legislature. 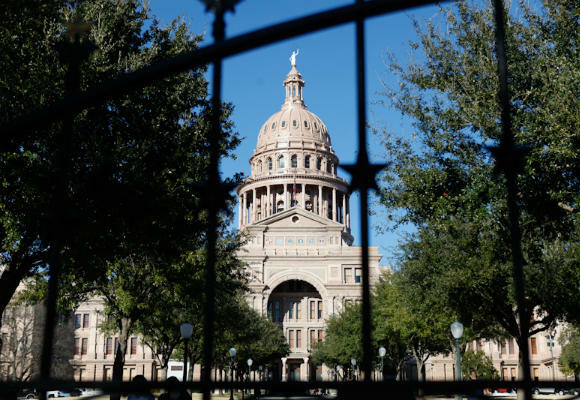 And, while you've probably heard lots of stories about lawmaker priorities for the 140-day session, it's not always about what bills are being debated, but whether the Texas House or Senate is leading the charge. The House and Senate are actually on the same page about many things ​– keeping down spending, lowering taxes when possible, and lot more. But when the Senate's leader, Lt. Gov. 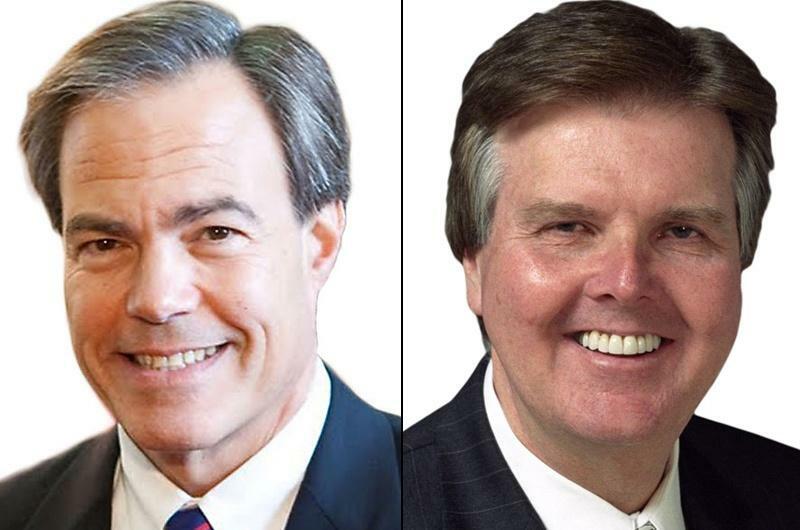 Dan Patrick, released a list of his top priorities, House Speaker Joe Straus did not enthusiastically agree with the to-do list. At an event in November, Straus explained to the Texas Tribune's Evan Smith why he didn't have his own accompanying list for the House. "That's his job the way he sees to do it. And the way the Senator's apparently approve," Straus said, referring to Patrick's priorities list. "I think the House members would string me up if I said, 'Here's your bill - pass it!'" Straus said being speaker means that he may have a personal set of priorities, but that doesn't make them the priorities of the House. Behind that sentiment are also some deep disagreements between the two chambers. On Patrick’s agenda: lowering property taxes, blocking transgender people from using the bathroom corresponding to their gender identity and creating a school voucher system. In October, he told members of the Northeast Tarrant Tea Party that the state would be in trouble unless the state started using vouchers to improve public education. "We will not have a future in Texas if we don't get about 300,000 kids – out of the 6 million we have in Texas – out of these failing schools," Patrick said. And, on each of those, reception in the House could be chilly. On school finance, based on the House's voting history, there might not be much chance of passing a voucher program that uses state money for kids to go to private schools. On cutting property taxes, Straus says an overhaul of how the state funds schools is a good place to start, since the majority of property taxes are collected by local school districts. And, on the bathroom bill, he said it just wasn't important to him, or his constituents. "Excuse the expression, but this isn't the most urgent concern of mine. My district isn't really communicating with me on this as an urgent concern," Straus said. He added that he had heard from several business groups opposing the proposed bill, and that if legislation passed by the Senate could lead to Texas losing out on business and sporting events – like the 2018 NCAA men's basketball final four scheduled for San Antonio – then he'd push to block the bill. But Straus prefaces every comment about his priorities saying he's just speaking for himself; that his priorities are not the House's priorities; and that, if the chamber doesn't take a vote on vouchers or transgender bathroom access, it's because a majority of lawmakers don't want to take a vote, not because he won't let them vote. Speaker Joe Straus (R-San Antonio) and Republican Lt. Governor Dan Patrick could have a prickly relationship during the 2017 Legislative session. But Lt. Gov. Patrick may already be setting Straus up to shoulder the blame. When speaking at that same meeting with the Northeast Tarrant Tea Party, he promised his priorities would get done because of support from conservative lawmakers. "Now we have great conservative Senators. There are great conservative House members. And I have a great relationship with our governor. And we're going to get these things done," Patrick said. You'll notice Straus's name wasn't mentioned. 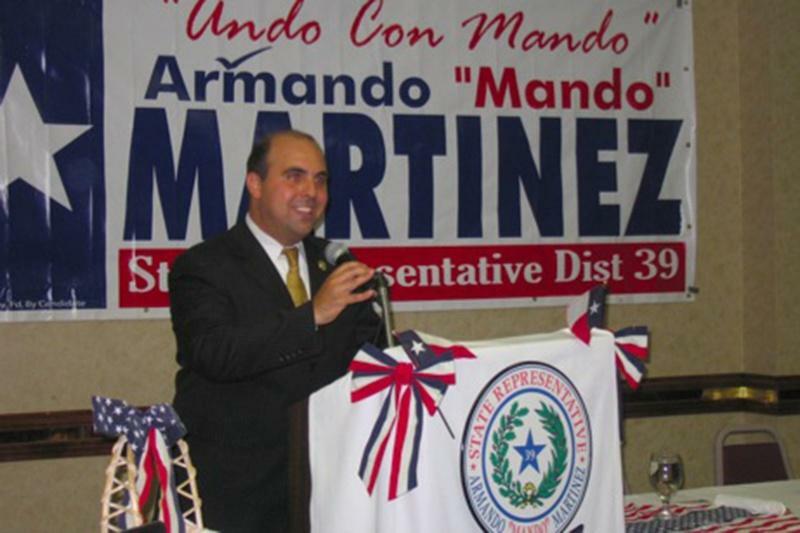 From The Texas Tribune: After being hit in the head with a bullet shortly after midnight on New Year's Eve, state Rep. Armando Martinez plans to file legislation aimed at reducing or preventing celebratory gun firings. In this era of hyper-partisan politics, the denouement of the Democrat's house leadership fight on capitol hill today is an important reminder of something: not all the major battles are initiated by the other side.